When looking for that perfect resort to spend your personal or working vacation at, and you want more than just a pretty beach and blue waters to look at... you have found your oasis. The Candelero Resort takes full advantage of permanently idyllic weather by offering exciting just about every recreational activity from deep sea fishing to casino gambling. The diversity of activities offered are only out done by the luxury appointments of the resort. The Candelero Resort encompasses some 2,700 acres and is truly an island within the island. There are a variety of luxury guest accommodations ranging from one to three-bedroom furnished villas equipped with full kitchens and decorated in the Caribbean style; and European-style suites - all just steps from the soft, sandy beaches. 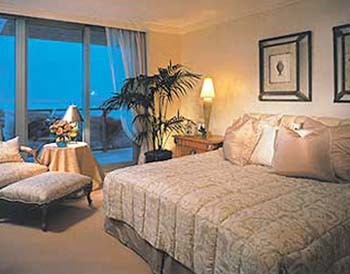 The amenities include daily maid services, air conditioning, cable television, direct-dial telephones and hair dryers. There is a complimentary shuttle bus that provides transportation to all of the resort's facilities and self or valet parking is provided. An activities center is located at the main hotel pool area where arrangements for pool and table games to horseback rides along the beach are formulated. There are 20 clay and hard tennis courts, 7 which are lighted for night play. A Pro Shop is included and lesson clinics and tennis shows are featured. The whole tennis show is managed by the renowned Peter Burwash organization. There are 3 plus miles of pristine beach, with complimentary towels, chaise lounges and cabanas available. 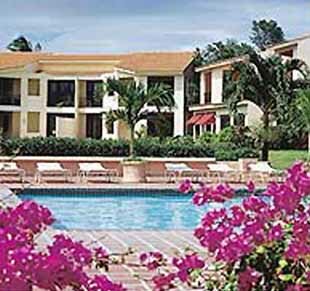 The Candelero Resort is considered the premier golf destination of the Caribbean. There are two ocean-front, par-72 championship courses. The Palm Course was designed by Gary Player and the Flamboyan Course was designed by Rees Jones. Of course there is a Pro Shop, putting practice greens, driving range and club, shoes and carts available. A fully equipped fitness center to relax and refresh your body and mind that includes Cybex machines, treadmills, stair masters, life cycles, free-weights along with exercise programs and aerobics classes. A truly lively casino welcomes everyone over 18 years of age. There is blackjack, roulette, dice and slot machines. If you are not sure of how to play, need we need to mention that lessons are available. There are more than a dozen restaurants, cafes, lounges and beach bars to accommodate your every whim in the culinary department. The La Taverna-Lobby Lounge offers a relaxed atmosphere and light menu. The Beach Bohio Bar & Grill offers light snacks, lunches and an unlimited beverage array, along with performances of live Puerto Rican rhythms for listening and dancing. 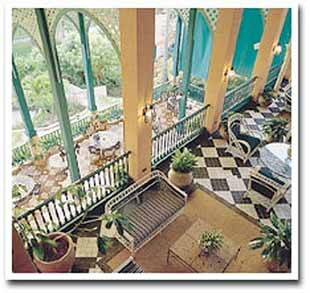 The Palmas Cafe, located next to the pool, offers indoor and outdoor breakfast, lunch and dinner. Immediately outside the Palmas Cafe is the Splash Bar with a unique cocktail array. Continental dishes prepared by Chef Daniel Vassee for lunch and dinner are offered at the Chez Daniel. Le Grill, another Chef Daniel restaurant, features grilled-to-order meats and seafood in a beautiful outdoor setting. La Brochette serves Puerto Rico cuisine for lunch and dinner while overlooking the Caribbean Sea. The Flying Pizza serves casual lunches and dinners featuring pizzas, calzones and take-out! Crosscourt Counter is the tennis pro shop snack bar, serving sandwiches and cold beers. Oliva's Restaurant is near the tennis center serving Italian-style pasta and divine deserts. 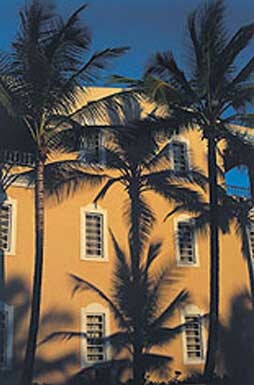 The San Juan chef of Hermes Restaurant overlooks the Palmas Del Mar Country Club and offers international favorites as well as the chef's own special creations. Sebastians offers unforgettable Caribbean dining in a casual, romantic atmosphere. The 6,000 square foot Executive Conference Center is available to accommodate functions of 90 to 700 participants. There are four smaller Executive Boardrooms available for intimate meetings of 15 to 20 attendees. Cocktail party affairs and private cook-outs can be held at the Poolside Pavilion or the Beach Bohio Bar and Grill. Audiovisual equipment, fax and copy machines, multi-line speaker telephones, pagers, modem hook-ups, secretaries, notaries, messengers, concierge assistance, translation services and overnight courier services are all available.